Hot fun in the summer time! Celebrate getting through another Wednesday with our monthly pub quiz! We’ll challenge you, stump you, and you might even learn a thing or two. 1000 yen per person to participate, up to six members on a team. Email outreach@telljp.com to reserve a table for your team. Prizes for the top three teams! 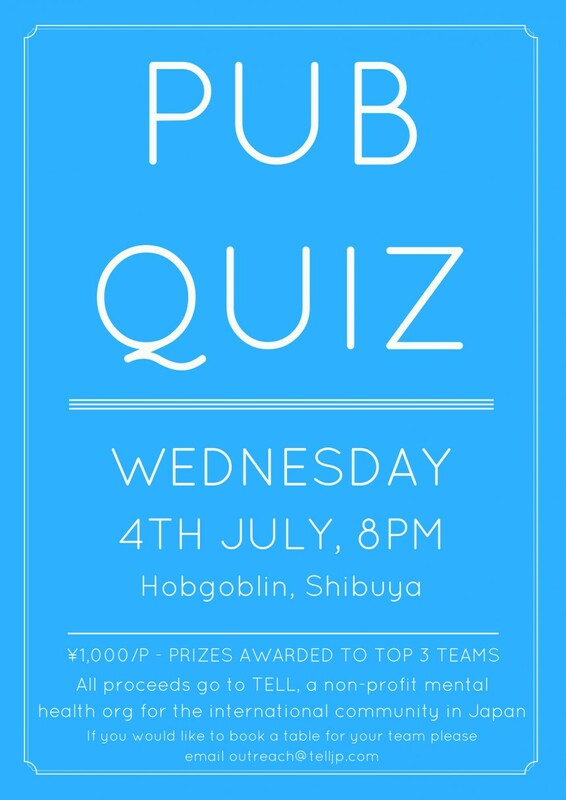 If you don’t have a team, turn up and let the quizmaster know and we’ll find you a team to play with.